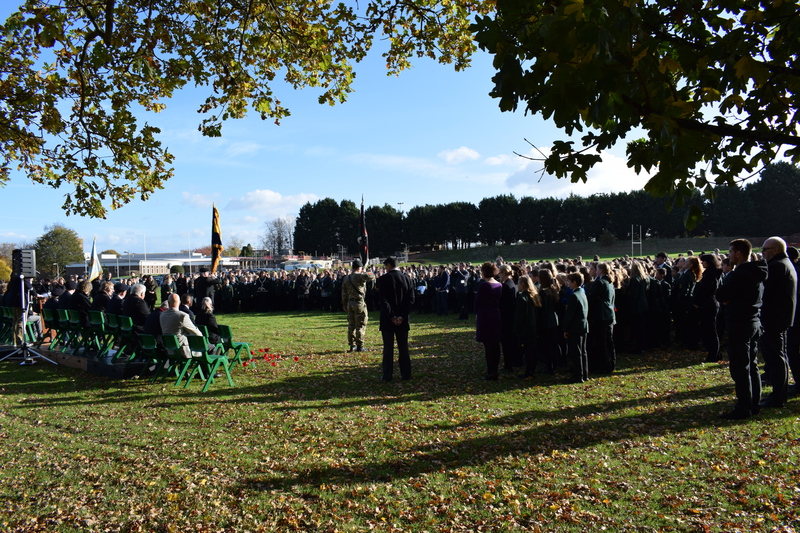 On Friday 9th November Newent Community School and Sixth Form Centre invited local dignitaries and community members to join students, staff and Governors in their whole school act of remembrance. The school assembled on the lower field and heard Reverend Simon Mason read John 15. This was followed by Mr Richard Balding, Newent and District British Legion, read the fourth stanze of the poem “For the Fallen” by Robert Laurence Binyon (1869 – 1943). The last post was followed by two minutes of silence at 11am. 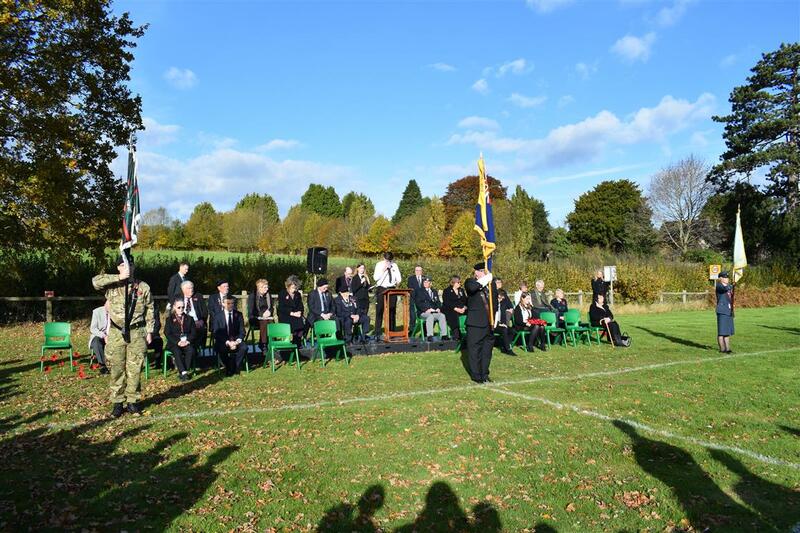 Finally, the Kohima Epitaph was read immediately before Amelia Threadgill (Head Girl) and Dafi Griffiths (Head Boy) read out the names of the Newent fallen. The service concluded with the handing of a wreath at our memorial to those ex-students who lost their lives in conflict. 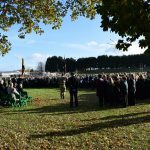 Following the event Mr Alan Johnson, Principal, wrote to all parents to express his gratitude for the mature and respectful way that their sons and daughters conducted themselves during our whole school act of remembrance on Friday. He praised their behaviour as impeccable and that the stillness whilst we all observed two minutes silence to remember those who lost their lives in conflict was absolute. He concluded by saying that standing in front of our students, he watched with pride how well they marked this solemn occasion. He informed parents that he felt the students are as ever a credit to you. Mr Johnson would like to thank all those who attended the event including MP Mark Harper, Mr Colin Thomson of The Rotary Club, Mr Michael Brown of the ACF, Cllr June Davies (Mayor of Newent), Cllr Vilnis Vesma and Sally Anne Grimshaw Flt Lt RAF VR.